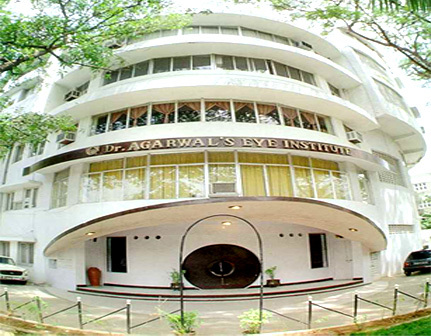 Dr.Agarwal's Eye Hospital is a world renowned hospital and is listed as a major eye centre of the world by the international congress of ophthalmology. The hospital is built in a shape of an eye. The hospital is celebrating its golden jubilee.